The more video becomes available the more real life situations enter the courtroom. The quality of body worn cameras as well as surveillance CCTV video is improving to the point that video forensic enhancement is not necessary. In a recent fatal shooting in Flagstaff, Arizona the murder of a police officer was recorded on his very own, department issued body cam. Had his murderer not committed suicide (with the officer’s weapon) he would have, when captured, gone on trial to prove his innocence, possibly with a claim of ‘self defense’ or that the officer attacked him and the gun went off accidentally. If this video was not created hundreds of thousands of dollars would have been spent investigating the circumstances of the officer’s death. None of that expense was incurred, all because of a body camera video. Primeau Forensics has worked with body camera manufacturer, VIEVU, based in Seattle, Washington, to help their research and development of their body worn cameras, which are primarily sold to more than 4,000 agencies in 16 countries. Primeau Forensics helped them test the field of view (FOV) for their cameras. We researched the various FOV options to learn what degree of a lens was most optimal in body worn camera situations. 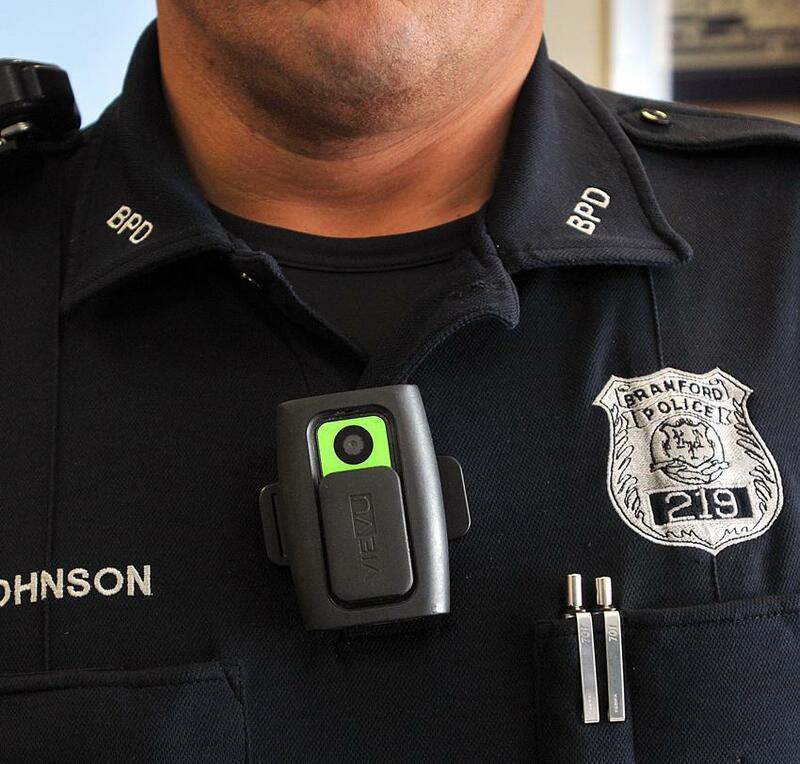 President Obama recently proposed a bill to provide funding to police departments for the purchase of body worn cameras. 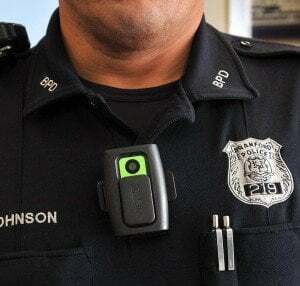 The proposal includes $75 million to help pay for 50,000 of the lapel-mounted cameras, with state and local governments paying half the cost. This proposal occurred shortly after the Michael Brown shooting in Ferguson, Missouri. This is an important and crucial development in forensic video. As a video forensic expert I am thrilled to see body worn camera video help litigators learn more about a series of events that occurred, first hand, saving our judicial system a lot of money investigating cases and, often, ensuring a correct decision in a person’s guilt or innocence. Over the past few years, we’ve seen a significant acceleration in the development and manufacture of consumer-grade, mobile video devices. 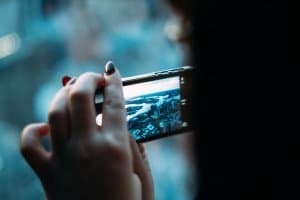 From smartphones to GoPros, video recording has become substantially less expensive and far more accessible to consumers, and this may change the game regarding digital evidence. This consumer video revolution now allows us to capture video of events as they occur. This phenomenon has created powerful repercussions in the courtroom. Thanks to the easy availability of video devices and trends in social media, we now have presented at trial video evidence of events that, until recently, have rarely been made known. For example, take this video of a woman from Mississippi. As she begins to merge onto the highway, a truck hits her car, causing the car to catch fire. She seems trapped in the car (either physically, or due to shock), and with her children in the back and the flames coming ever closer to the gas tank, she needs to act quickly. Suddenly, from behind the scene of the accident, another truck driver leaves his rig and tries to save the family by pulling them out of the burning car. Minutes after they are successfully rescued, the car explodes. Had the truck driver been a few minutes later, it is likely that the entire family would have been killed. This is a heroic, inspiring story. An inspiring story that would have gone completely unnoticed if weren’t for the rescuer’s dash cam recording the entire incident. A heroic act so great that it has rarely been seen outside of movies and television, it became a huge story, and something that would have been unrecognized by the public without the technology of this generation. However, the documentation of heroic stories like this is only the beginning of the positive effects from the spread of video devices to every pocket, purse, and vehicle. This public video revolution can also make or break a court case, providing the crucial evidence that makes true justice possible. For this, let’s use the currently infamous video, “Officer Go-F***-Yourself.” The officer in Ferguson appeared at a peaceful protest late one night in August. He approached a group of young adult protesters with an assault weapon drawn, pointed it at them, and he told them that if they did not return to their homes, he would “f***ing kill” them. In the world of law enforcement, this kind of behavior on the part of an officer is absolutely improper and illegal. The protest was peaceful; the young adults weren’t causing any harm or exhibiting disorderly behavior. Hell, even if they were, threatening protesters in such a crude manor is clearly unacceptable in a free society. Had this happened 10 years ago, it might have gone completely unnoticed. The officer in question may have gotten away with blatantly making death threats to civilians, and the only evidence from the protesters would’ve turned into a game of “he said, she said.” However, because one of the protesters was smart enough to take out their cell phone and document the entire confrontation, justice was done and the officer was suspended from the force. The police in Ferguson were able to see the events exactly as they transpired, so it was indisputable that he was guilty. This, in itself, is revolutionary, and is an indication of how much power video evidence can have in the courtroom. The fact stands that a clear representation, such as video, is the most indisputable evidence there is, and allowing the jury, officials and lawyers to witness the event with their own eyes and ears is the most effective way to present evidence. Other forms of evidence can be easily disputed, but allowing the court to see, hear, and experience the event for themselves is the most effective method of presenting evidence, even more reliable than an eyewitness account. Think about it this way. Consider the most powerful documentaries you’ve ever seen. What do they all have in common? Generally, they all rely on the reality of the situation by allowing viewers to experience it for themselves. You can throw out as many facts and statistics as you want, but seeing, hearing, and experiencing actual issues, people, circumstances, and actions is what will stick with people most. The feeling viewers derive from seeing the faces and hearing the people speak is incomparable to any statistic in the world. This is why Charlie LeDuff’s piece on Ferguson is one of the most powerful, yet. It doesn’t focus on the narrative; it doesn’t focus on stats; it focuses on the people. It focuses on those who are so passionate about this cause that they would fight, risk arrest, or even die for it. The consumer video device revolution is so important to the justice system, and the best way to reap its benefits is to remain aware of its power. If you experience anything unlawful, always remember that the little rectangle sitting in your pocket could make or break the fate of those guilty. These devices allow us to capture indisputable evidence about what truly took place, and this is a privilege we can’t ignore. If these developments continue, they could completely change the face of digital forensic evidence forever. Video evidence recovery is the scientific process of removing a video recording from a smart phone and preparing it for court. With the rapid proliferation of surveillance cameras in public and private spaces, law enforcement agencies are increasingly making use of these recordings as evidence video at trial. Moreover, mobile digital video recorders and other portable video recording technologies are making it much more practical to capture surveillance/crime scene video that may latter be used as evidence in court. Playback of these video recordings is straightforward, providing the video is played back using the original equipment on which it was recorded. This caveat, unbeknownst to many attorneys and police officers,stems from a simple fact.Most fixed and mobile DVR-based surveillance systems employ proprietary computer operating systems and record digital video to proprietary formats. Under these circumstances, causing minimal degradation of picture quality during the process of recovering and trans coding video files is a complex challenge for both law enforcement agencies and video forensic experts. There are a wide variety of surveillance system manufacturers and a larger number of different models of DVRs, which makes on-site retrieval of video recordings a difficult process, often necessitating access to the technical manual of the DVR on which the recording is stored. The investigators at Primeau Forensics have worked on countless evidence recovery assignments where simple cloning of the DVR’s hard drive would have been the worst retrieval strategy of all. First, the cloned drive may not mount on our computers, which run Windows and Apple operating systems. Second, proprietary files are often invisible files outside their native OS. They cannot be detected or read by any operating system but the embedded OS running on the dedicated device. Third, video files may be encoded using a non-standard codec and/or formatted within a non-standard wrapper. For example, NVR format video files, frequently used in surveillance systems, come in a multitude of types, each with its own structural and descriptive metadata. Associated files present, such as the control files and system files that enable playback on the original DVR, will often impede playback on general-purpose computers. File Investigator Engine and File Expander Engine from Dark Data Discovery allow forensic investigators to identify and open over 4,300 different types of files, yet simply cloning the DVR’s hard drive remains a strategy fraught with complications. Successful retrieval of DVR recordings always requires preparation and research beforehand. We always browse the Internet, contact the manufacturer, and read the manuals over and over to determine the best way to preserve this fragile digital evidence in its most pristine quality. As trial verdicts may turn on the outcome of our analysis of evidentiary video, we want to personally recover the video to establish a clear chain of custody, prevent accidental loss of files, and preserve the video quality through recovery and trans coding to an open format. 1) As previously mentioned, research the design, inputs/outputs and operation of the DVR you are examining. Obtain the special software, codecs, and technical manuals necessary to examine the unit properly. 2) Photograph the digital video recorder before you begin the inspection. Take note of any markings or signs of tampering. 3) Connect the DVR or mobile digital video recorder to the power source that will power the unit best. Sometimes, mobile digital video recorders require an AC/DC cable system to power the unit in an office environment. The vehicle or locale in which it was originally installed may have had custom power connections, not available if the unit is pulled for examination. 4) Connect the data transfer cable supplied with the unit to your Windows laptop for examination. In some cases, this will be a standard USB or FireWire cable. Mobile video recorders, in particular, frequently require a proprietary cable. Having installed the DVR emulation software provided by the manufacturer and the proprietary encoder/decoder, you are ready to follow the instructions in the manual to retrieve the highest quality video possible. 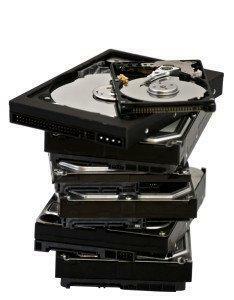 If you need professional assistance recovering video evidence from a digital video recorder, please call us today! Call 800-647-4281 for a free consultation.